that include boleros, capes, shrugs & crop tops. that you will be able to use and look good in. more substantial than just making a hat. matching accessories such as a hat or gauntlets. charts are also supplied for repeating patterns. pictures to help you complete the stitch. easier to re-size to what you require. stitches to create the unique look. to create the designs, such as entrelac. changes in stitches and shapes. Annie's use of colours is fantastic. and her Strasbourg Cape is beautiful. is better I am going to work my way through the book. 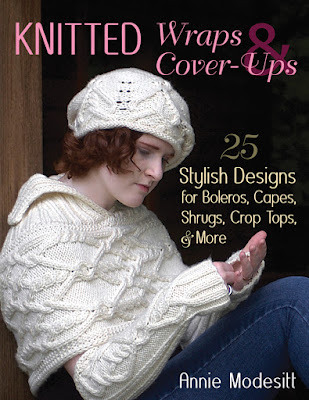 A special book with the most gorgeous patterns!